(Cat - Fur - 01) In China, cats and dogs are skinned for their fur, and their fur is shipped all over the world. 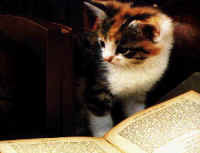 Cat fur is mostly used for trim and glove linings. 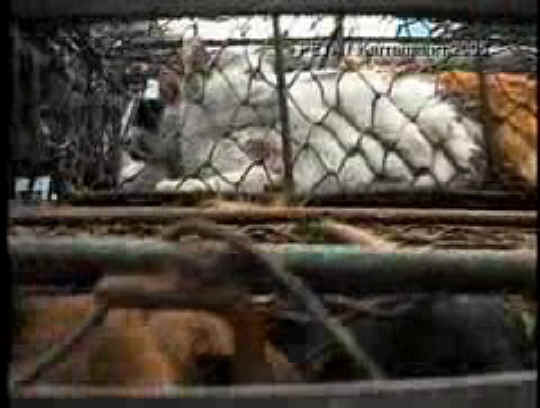 Cats and dogs are crammed into wire cages and loaded upon trucks to the taken to skinning and killing place. Don't buy or wear fur! Even faux (fake) fur can promote the sales of real fur and cause more pain and suffering.